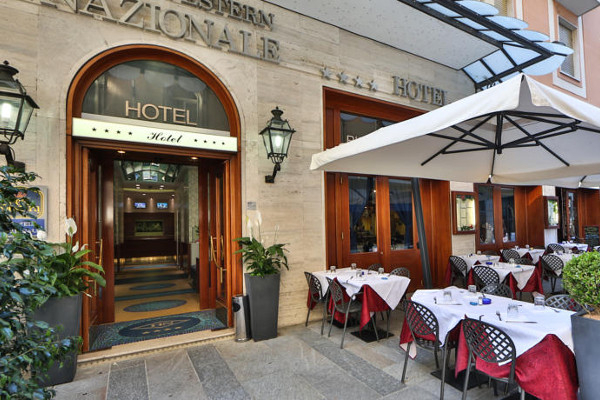 The Hotel Best Western Nazionale is excellent for businessmen , families with children, those traveling with pets, and for anyone who wants to relax in a wellness center and/or solarium. 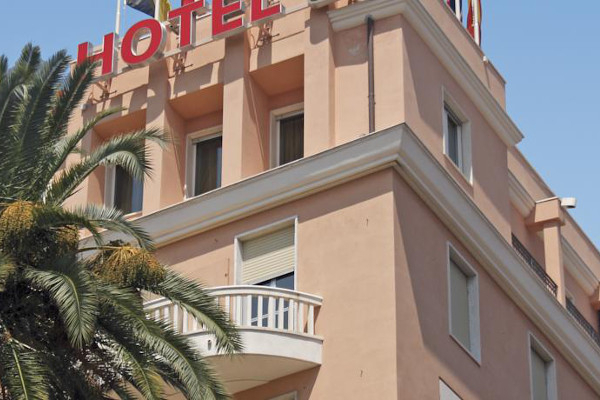 The hotel benefits from exclusive services. 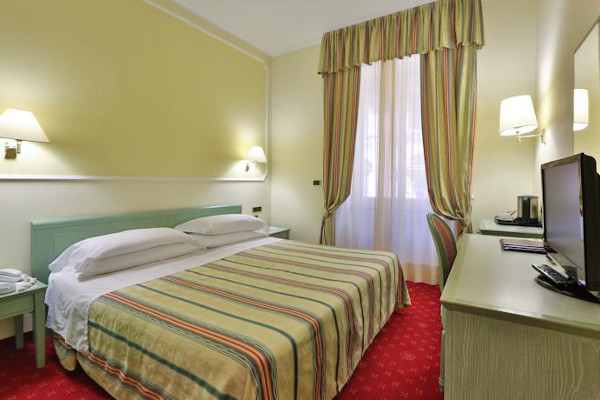 The Hotel Best Western Nazionale offers comfortable and elegant single, double, triple and family rooms, as well as splendid suites. 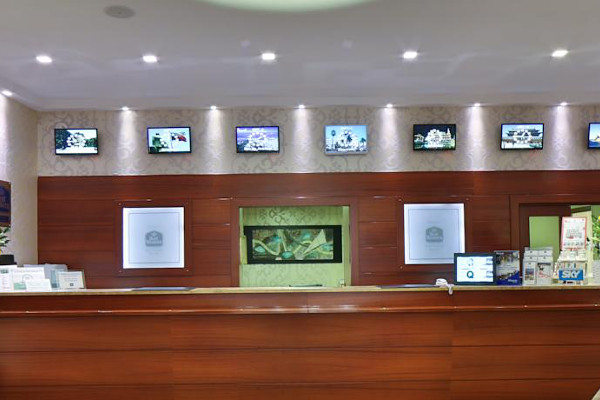 The services include air-conditioning, cable TV, bathroom with bath or shower, hairdryer and security safe. Wi-fi wireless internet is free throughout the building. 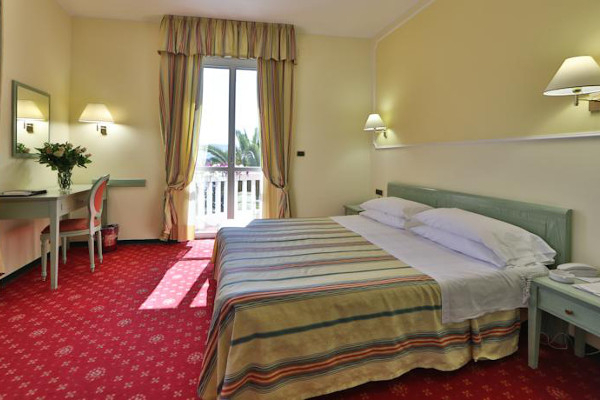 The spacious, light-filled suites are found on the sixth floor and include a balcony with a view of the golf course, the Casino and the garden. 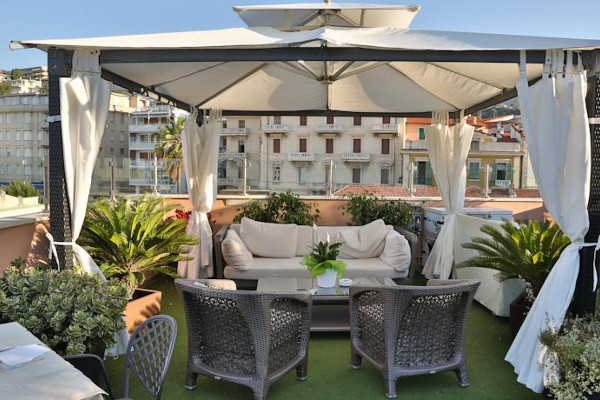 From the roof garden guests can also admire the spectacular view over the Mediterranean. Free stay for children under 3 years of age in small bed or cot. Pets allowed free of charge in the hotel. 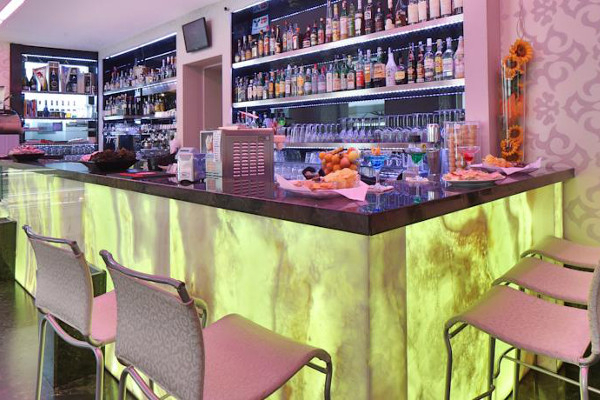 In the restaurant or in the American Bar you can sample delicious cuisine, local specialties, or regional or international dishes, not to mention excellent drinks! 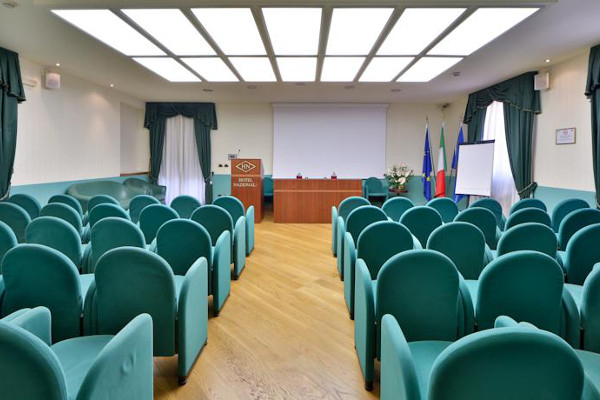 The hotel offers a meeting room that can host up to 80 people. Pets admitted free of charge on request. 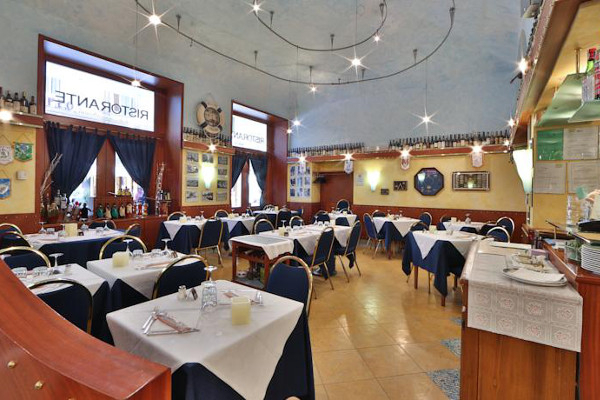 The Best Western Hotel Nazionale offers its esteemed guests the convenience of finding themselves right in the center, only a short stroll away from the Casino or the high fashion boutiques nearby. Autostrada A10, exit Arma di Taggia – San Remo Est. You will proceed quickly, thanks to the Aurelia Bis, third exit (hospital of Sanremo) and continue towards the center, until you reach Piazza Colombo. Next follow the signs for the Casino – the hotel is found next to it.